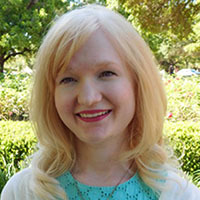 Deborah O’Malley is the 2018-2019 inaugural Daniel Patrick Moynihan Postdoctoral Fellow at Assumption College. In 2017-18 she served as a Forbes Postdoctoral Research Associate in the James Madison Program at Princeton University. Her research explores the source and scope of the rights of religious institutions in the American legal tradition. Prior to studying at Baylor, she spent several years providing research for various non-profit organizations in Washington, D.C., including the Becket Fund for Religious Liberty. She has participated in fellowships with the Claremont Institute; the John Jay Institute; the Berkley Center for Religion, Peace & World Affairs; and the Ethics and Public Policy Center’s Tertio Millennio Seminar on the Free Society in Krakow, Poland. Debbie holds a Ph.D and an M.A. in Political Science from Baylor, and a B.A. in Philosophy and Political Science from Ashland University.